SKU: SKU227051 Category: Planet Eclipse Brands: Planet Eclipse. Violent Series trigger for the Planet Eclipse Ego LV1 marker. 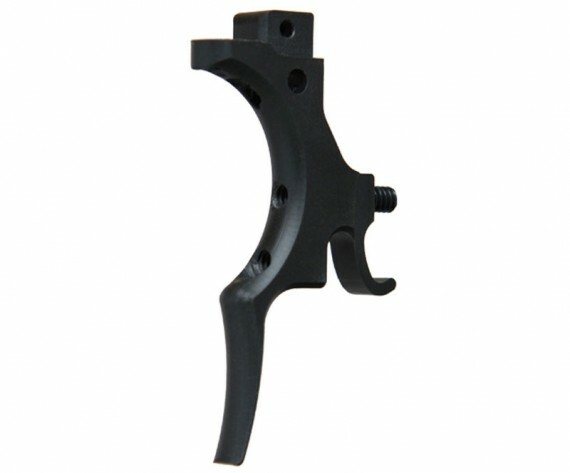 This trigger is made of Delrin so it is super lightweight and very responsive. The shape of the trigger flows with the natural bends in your fingers and is ergonomically correct. The front face of the trigger has a nice radius that runs down the full length of the trigger. The radius on the front gives you a nice feel and contact point with your fingers, not a flat front and corner edge like other triggers on the market. Available in three styles – Blade, Deuce and Scythe.